Outside the Box: Dragonfly Dreams - How Does Your Garden Grow! Our new challenge has started at Dragonfly Dreams and we would love to see what you grow in your garden! 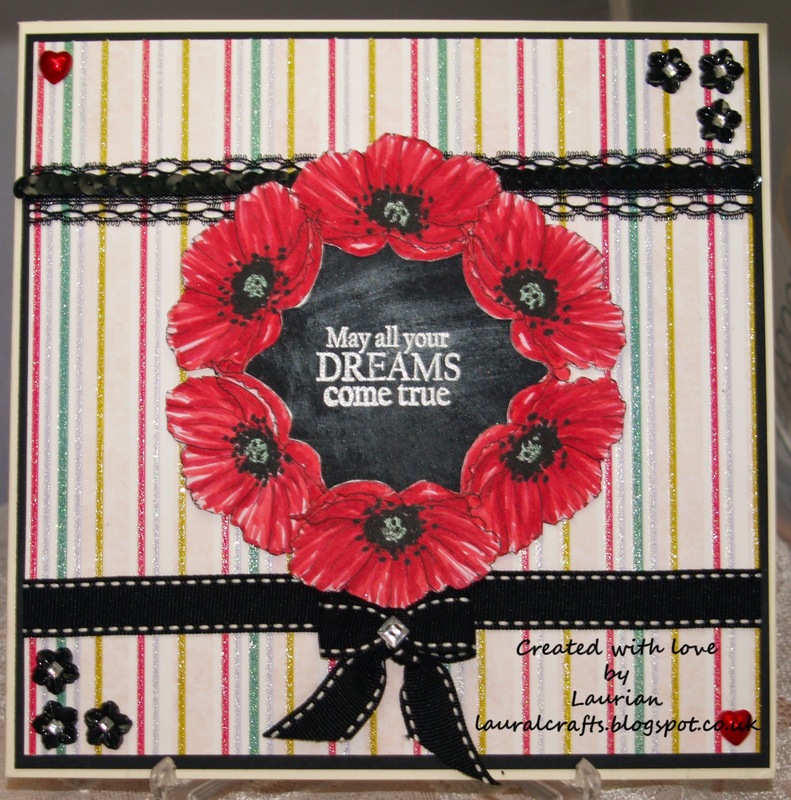 Our sponsor this month is the ubber talented Fred She Said who have the most fabulous digis of flowers, I so love to play with these gorgeous images and I chose a poppy for my image as I love poppies and have lots in my garden! I created a circle with the poppy image then coloured it with my Promarkers and cut it out. I used the chalkboard technique to create the sentiment in the centre. The paper is from the new Bohemian collection and it does actually have glittery stripes that just don't show up in the photo! I added some black lace and a black stitched ribbon, some black flower buttons with diamonds in the centes and a couple of pearl hearts. I'd love to see you over at the challenge - hope to see you there!